What are you up to this weekend? We are going to an outdoor movie party and I am going to a spray painting demo here. And hopefully, some grilling will also be done! Hope yours is awesome too! PS. 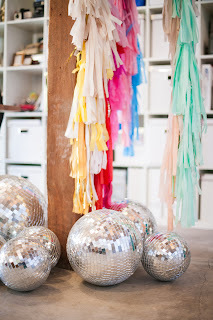 Disco balls and streamers?! Don't even get me started!! !